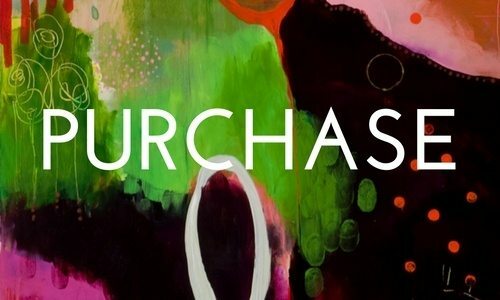 The Bloom True E-Course presents a groundbreaking, transformational approach to painting and living that celebrates intuition, connects body, mind and spirit, and allows unique, expressive paintings to emerge naturally. 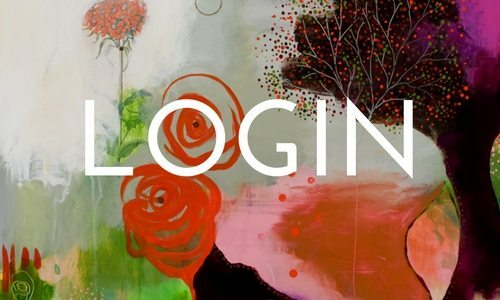 Brimming with gorgeous, high-definition video demonstrations, unique creative lessons, inspiring prompts, interviews with fellow artists, in-depth Q&A sessions, and enough encouragement and inspiration to last a lifetime, the Bloom True E-Course is like no other painting course available today. Throughout the five-week journey, I offer gentle guidance and practical step-by-step support as I demonstrate my entire Brave Intuitive Painting process through the evolution of three, large paintings from start to finish. The Bloom True E-Course has inspired thousands of people around the globe to embrace a new, wildly freeing way of creating — and now the freshly designed, self-paced course is available to you with lifetime access. The Bloom True E-Course will likely change the way you paint forever. This course did more for my mental state than months of therapy. The Bloom True E-Course is available for $297. Five percent of the revenue generated from this course is donated to: p:ear, a Portland-based non-profit organization dedicated to mentoring homeless youth to affirm personal worth and create healthier lives and communities through diverse arts education. Find out more on my Community Giveback Page. *This is the price for the course only. Please note that materials are not included. See the materials page for a detailed description of what you will need for the course. Over 30 professionally shot videos presented in HD, filmed in my Portland studio and home. Over 30 lessons, including five theory lessons and 10 painting sessions. A series of creative prompts. The opportunity to ask questions directly to Flora. Many hours of pre-recorded weekly Q&A sessions. 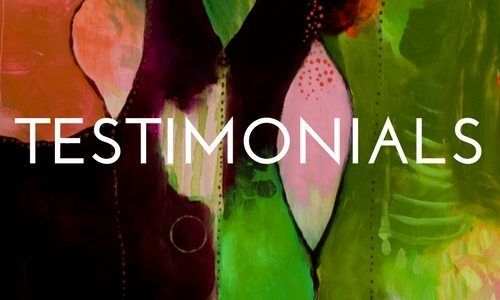 Interviews with fellow artists: Alena Hennessy, Pixie Lighthorse, Anahata Katkin, Melody Ross, Orly Avineri, Lynzee Lynx and Kelly Rae Roberts. Great painting music from a variety of musicians throughout course. 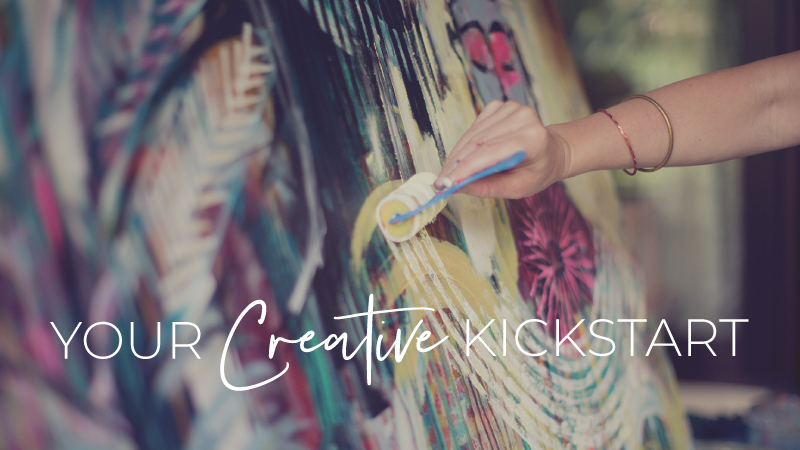 Access to a community of like-minded, spirited people from across the world…your new creative tribe! Unlimited classroom access, so you can watch the videos and access the lessons as many times as you like for life. A heartfelt, uplifting approach to painting that just might change the way you paint forever. I am thrilled to offer the updated Bloom True E-Course as a self-paced, learning experience with lifetime access. This means that you can purchase the course anytime, and move through all the lessons while honoring your own rhythm and lifestyle. I believe giving back to my community is an essential part of living and breathing. As a reflection of this core value, and to support much-needed arts funding, I am honored to donate 5% percent of the revenue generated from every full-length online course sold to two Portland-based non-profit organizations: The Children’s Healing Art Project (CHAP) and p:ear. I believe deeply in the work that each of these organizations is doing to bring the healing power of art to children in need, and I’m thrilled to support their mission and vision. Thank you for helping me make these gifts possible! Read more about my Community Giveback Program here. If you have taken the E-Course before, we would love to have you back for just $99! To receive your alumni discount, please email teamlove@florabowley.com for more information. Please note, “the bones” of the content remain similar to all courses offered prior to September 2015. However, the look of the course is entirely updated and new bonus material and fresh monthly Q & A sessions have been added. 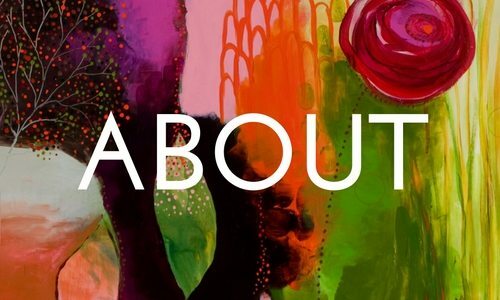 If you are inspired to spread the good word about your Bloom True experience, please consider joining our Affiliate Program so we can reward you for your efforts — and you can buy more paint! It’s truly a win win situation. There are individuals who touch lives by their mere presence. Flora is one of those rare individuals. Her E-Course is a life changer! The Bloom True E-Course is an online course. The course is available for you to purchase at any time as a self-paced, online, painting adventure. As soon as you purchase the course, you have lifetime access to all the lessons. How much is it and how do I register? lifetime access to the classroom. 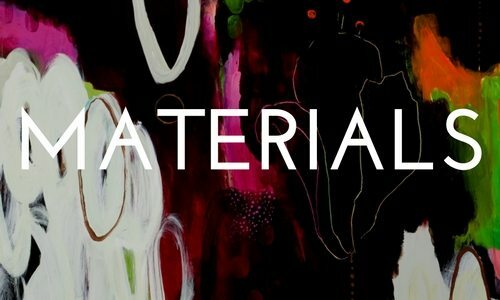 Please see the Materials Page for more information on the materials you will need for the class. Please note that materials are not included in the cost of the course. If you find the canvases and paint expensive, there are many other options you could try, including heavy watercolor paper (something like a 300-lb. paper will work great), panels (such as pieces of masonite from the hardware store), painting over old paintings at thrift stores, or old doors. Paints come in many different brands, sizes and prices. Please buy paint according to your budget. While I prefer Golden Brand paint now, I used to paint with house paint from the hardware store, and it worked just fine. Yes! This class is for anyone who wants to loosen up, become more bold and explore their creativity in a new, intuitive way. The process is very forgiving and no prior painting experience is necessary. Yes, even if you have been painting for years, this class will bring a fresh approach, new techniques, and a new way of looking at painting from a place of intuition, freedom and joy. You want to discover a unique approach to painting, which can translate into all areas of your life. You want to let go, be bold and allow your paintings to unfold naturally in their own time. You are ready to move through fear and embrace the unknown. This course is NOT for you if you are looking for a course on specific painting techniques or if you want to learn how to paint what is in front of you. While many techniques will be shared, this is much more about the approach than specific methods. Will I learn a lot of new painting techniques in this course? I will share a variety of techniques and painting prompts, but please note that this is not primarily a course about painting techniques. It’s also not a course for replicating an image of what is in front of you. It’s not even knowing what you will paint before you begin. Instead, this course presents a holistic approach to life and painting, which encourages you to allow your paintings to emerge organically in unexpected ways. It is a result of listening to your intuition, trusting and being brave. I have taken an in-person workshop with you before. What is different in this course? You can work at your own pace in the comfort of your own home. There are many additional elements that will help you find inspiration for your painting process in your everyday life. You will have lifetime access to professionally-shot videos, so you can revisit what you learned in each lesson. You can share this experience with a community of like-minded people from all over the world. You will have lifetime access to work through the course material, so you can truly work at your own pace — in any timezone. You will receive all the course material when you sign up. Yes, you will have access to a Private Global Facebook Community where you can connect with others and share images of your paintings. This space is open to all past and present students, and will remain open indefinitely for all Bloom True E-Course students. This community provides a wonderful and inspiring place to connect and share your Bloom True experience. 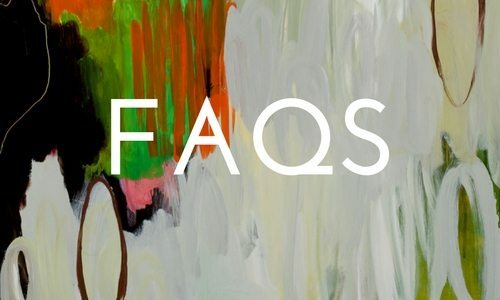 There is a form on the Q&A with Flora page for all your questions. Also, there’s tons of previous Q & A sessions covering a wide range of topics located in the Bonuses Section. For any technical or logistic questions, Flora’s team is available Monday – Friday. I encouraged you to paint as big as you can — ideally on canvasses at least 24″ x 24″. You will need enough space to paint on the canvas and step away from time to time. The actual space itself can be anywhere — in your kitchen, garden, garage, or even in the park. Just remember, this can be a messy process, so you’ll want to protect your walls and floors with drop clothes or plastic sheets. Yes, all videos are shot in HD and are high quality, so you will need a fairly high-speed Internet connection to view them. The videos are a vital part of the content of this course, so please do consider this. We are not able to provide alternative viewing options for people on dial-up or on very slow connections (and we cannot give refunds if you are having issues viewing the videos due to your internet connection). Therefore, please bear this in mind when registering. If you have regular broadband, you should be fine. Full-screen: Click on the four tiny arrows next to the Vimeo logo to watch the http://www.thismachine.info video in full screen. You can use the escape button to return to the post. The Bloom True E-Course, as well as the rest of my site, was designed from the ground up to be viewable on a wide range of devices. This includes desktops, phones and tablets. However, there are some limitations. If you’re experiencing issues with how the E-Course, or any other part of the site, is looking and working, try finding out what browser version you’re using. Click here to find out. The most popular browsers that visit my site are listed below. If you are seeing an issue with the way anything is showing up on your mobile device, desktop or tablet, or if something just doesn’t seem quite right, then please send an email directly to the awesome team at 7/Apps (support@7apps.com). Emails to them should be specifically about the site not working on your device. But before you reach out to them, please check what version of browser and what operating system you’re using (you’ll need to tell them that in your email), and try to update to the newest your hardware can support. If that doesn’t resolve the issue, send them a note. To access the course, please log into the Bloom True Classroom by entering the username and password (generated when you purchased the course) into the Log In Area at the top of my website. Once you are logged in, you can access the course at any time by clicking your name at the top of the site. If you wish to change your password at any time, please click the ‘Forgot your password’ link. All of the course material (over 30 individual lessons) will be available to view online as soon as you purchase the course. You will have lifetime access to work through the course material, honoring your own unique rhythm and lifestyle to form a solid painting addiction. Yes! Giving the gift of Bloom True is giving a gift that keeps giving — and inspiring! To purchase a Bloom True Gift Certificate, click here. Yes! Please check out our Affiliate Program here. We would love to have you join us in spreading the good word about Bloom True.